Make learning fun while boosting basic skills with this unique book of practical application math activities. The book features a colorful, 11x17 inch fold-out menu to which students must refer to figure costs when spending money at a restaurant! 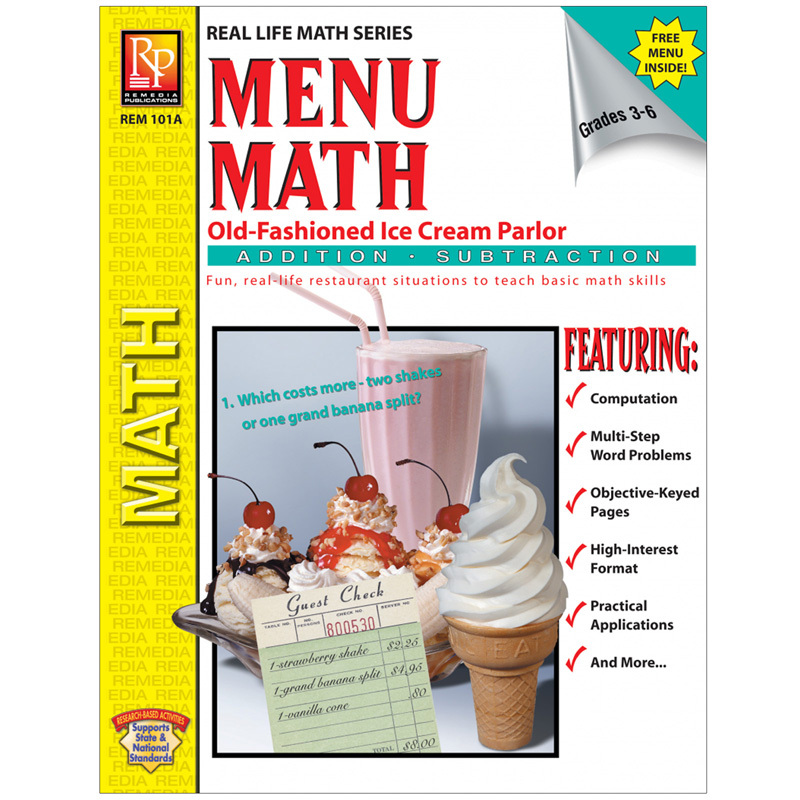 From banana splits to ice cream cones, your students will get their fill as they work through hundreds of computation and real-life word problems. Students figure food costs, tax, total restaurant checks, make change, and more!